The professional knife sharpener is easy for everyone to operate, because the blade is automatically fed into the optimum angle between the very hard, fine grinding and polishing stones. 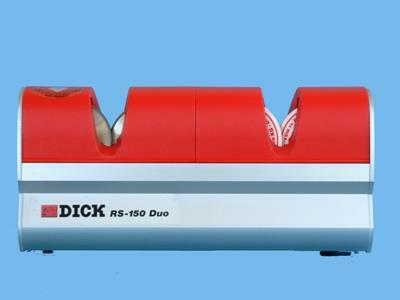 The grinder of the type RS-150 Duo is besides a knife sharpener also a polisher. This device assures razor sharp cutting material in your plantation. Working with blunt knifes namely substantially increase costs. To expand the life of your tool substantially with the knife sharpener. Leaf knife Brinkman blue 39mm.